Joan Barrett shared these on Facebook with the following information. She was kind enough to give permission for me to share the handwriting. Love this! "My hubby had the privilege to work with one of the best for 12 years. 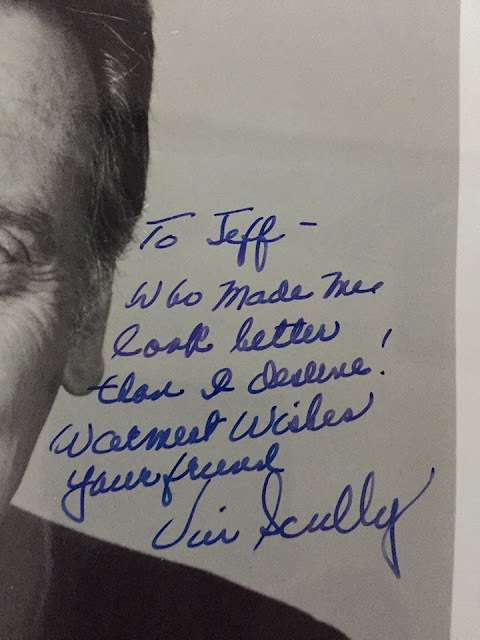 Jeff loved working with Vin - said he was always a class act and treated everyone like they mattered. 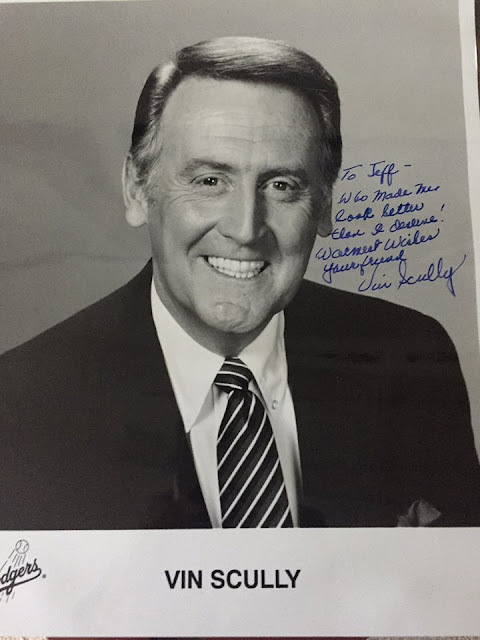 I wrote (yes a letter) to Vin and asked him for an autographed pic for Jeff after they were done working together. Of course, he complied and wrote a very sweet, personal note to Jeff that I won't share. But, here's the photo and autograph. We could certainly use more like Vin in our industry."